The old saying ‘blood is thicker than water’ certainly has some truth to it. Siblings have a deep sense of connection which endures across the lifespan. ‘But, my brother and I have never really got on and we only catch up at weddings and funerals,’ I hear some of you say. Yes, that may be true of many people, but there are different types of sibling relationships. You can share a strong bond with your brother or sister, but it may not necessarily be happy. As parents, I am sure most of us hope our offspring will get on well together and continue to be close well after we have passed on. 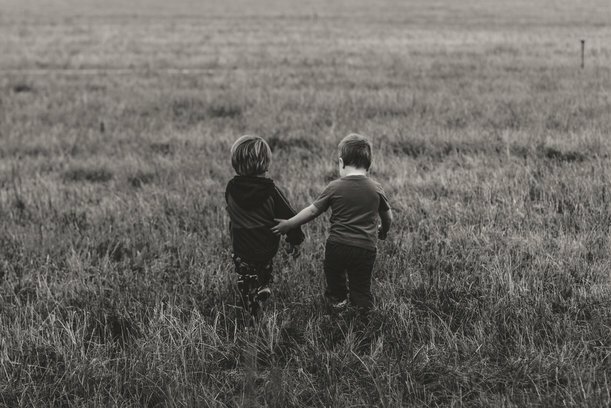 The families of special needs children have the added dimension of a particular disability, or disabilities and these can have a profound effect upon sibling relationships. For example, in the case of a boy who has an intellectual disability, his younger sister may assume the role of an older sister. It is also common for children, particularly older siblings, to help with and watch out for the brother or sister with special needs. If not monitored, this situation can interfere with their social development. 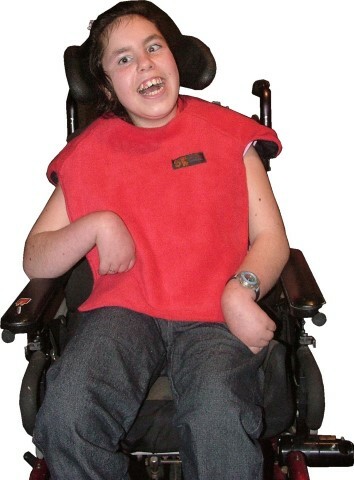 A range of emotions may be experienced with respect to having a brother or sister with special needs. These can include embarrassment, resentment, guilt, anger, jealousy, sadness as well as feeling different from their peers. Some children may not want to invite their friends home or feel reluctant to be out in public places with their sibling. For example, a child who is autistic can be very challenging to take out. Screaming, tantrums, hurling themselves on the ground, or running off are not uncommon behaviours. One can quite understand a sibling not wanting to be around while all that is going on! On a more positive note, however, a special needs child can bring great joy to their family. Each new step they take can be experienced as a huge milestone. Recently, my seven year old autistic son answered a question of mine. A first! The week before that, he strung seven words together. Both huge achievements. In great excitement, I told anyone who would listen about my wonderful little boy. I was recently at an Autism Conference in Christchurch and was privileged to hear a group of young people talk about life with their autistic siblings. Many of us were moved to hear their stories and were impressed with their maturity and their honesty. Several commented that although they had experienced difficult times growing up with their particular brother or sister, they had also learned so much from them. They had been taught tolerance and felt they were better people because of their experiences. Another familiar adage ‘we can choose our friends, but not our families’ reminds us that we need to accept our situations and work with the difficulties in the most positive ways we can. It is thus important that the siblings understand the nature of the other child’s disabilities. Some disabilities are straight forward to understand, particularly those of a physical nature such as a hearing or visual impairment, or not being able to walk. Those of a neurological or psychological origin, such as the range of developmental disabilities, or attention deficit disorder, do involve a higher degree of explanation and comprehension. When you are talking to a young child about their brother or sister’s difficulties, keep the explanations simple and appropriate to their age. Ask them what they understand what is wrong with their sibling and work from there. Give reassurance and show understanding when they are jealous. Ensure they are getting enough of your attention to minimise jealousy. Sometimes young children may feel afraid of their brother or sister’s behaviour. Give comfort and talk these issues through. Find things they can safely do together. When dealing with older children, find out what they know about the disability and put right any misconceptions. Give them leaflets or books to read which you consider are appropriate to their level of understanding. Be ready to talk through any issues of concern to them. For example, an older child may be concerned if the disability is genetic and whether it can be passed on to their children. Make sure you have the correct information which you can share with them. Another issue of concern for a young person is who will look after their brother or sister when they are older. What is their role? Are they expected to help care for their sibling when the parents are frail or have died? Tell your children what provisions you are planning for the special needs child. Do talk about feelings. As noted earlier, they may experience a variety of emotions and may end up feeling guilty due to being ashamed or resentful. Acknowledge such feelings and reassure your child they are quite normal. Let them know you are there for them and show willingness to discuss issues of concern. From time to time, check out with them how they are feeling; don’t just wait for them to tell you. They may not! In some cases it is appropriate to get someone else to talk things over with an older child or adolescent. A trained person in the field of that particular disability or a psychologist would be good people to contact. 5. They are also very special, you love them and will always be there for them. These simple guidelines go a long way to ensuring the healthy social and psychological development of the sibling. As parents and caregivers of children with special needs, we must always be mindful of their siblings wellbeing. Want to hear more from us? Join our mailing list and we'll keep you up to date with our latest blog articles, new clothing releases and more.